I’m back today for AnnaBelle Stamps to highlight the feature stamp set of this month, which is the Remember When Stamp set. 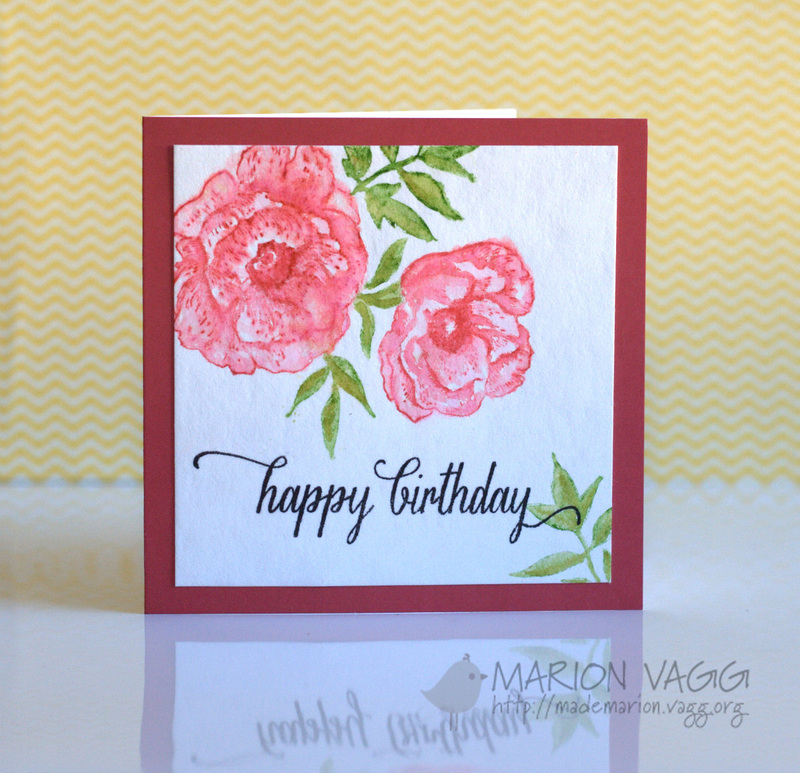 I have really loved the latest online card class – Watercolour for Card makers. 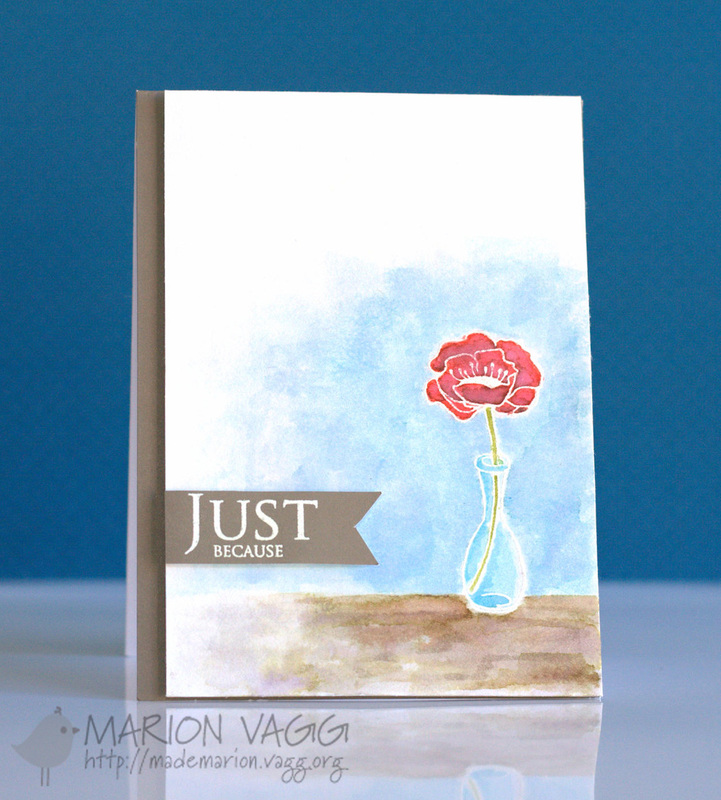 For my card today I painted a stamped image with distress inks as shown on Day 5 and 6. I really felt like an artist and I loved how it turned out! I was recently asked to coordinate a card making table at a fundraising evening held at my church. I jumped at the opportunity to make cards and the following was the one we made. 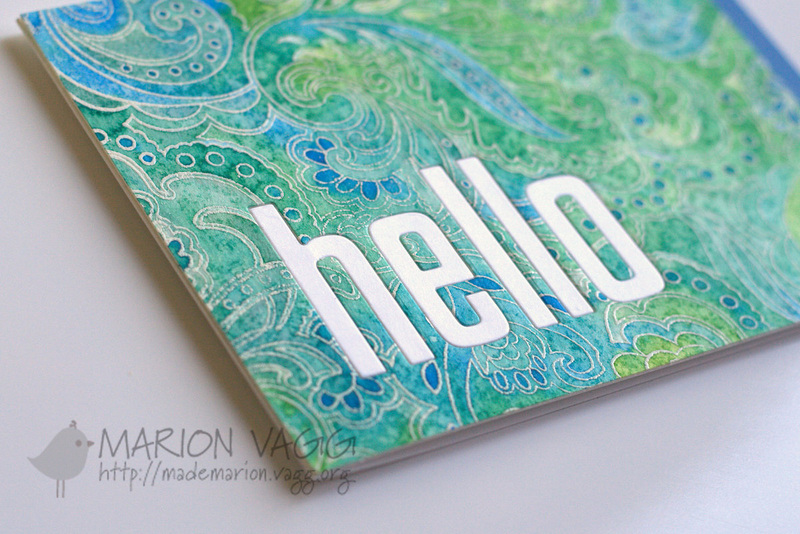 Die cutting with some inking and stamping. Simple, but effective. I really love the combination of chevrons and flowers. Some of the ladies chose to take their design in a different direction which I was all for – a bit like Muse really 🙂 I wonder where this card will take you? 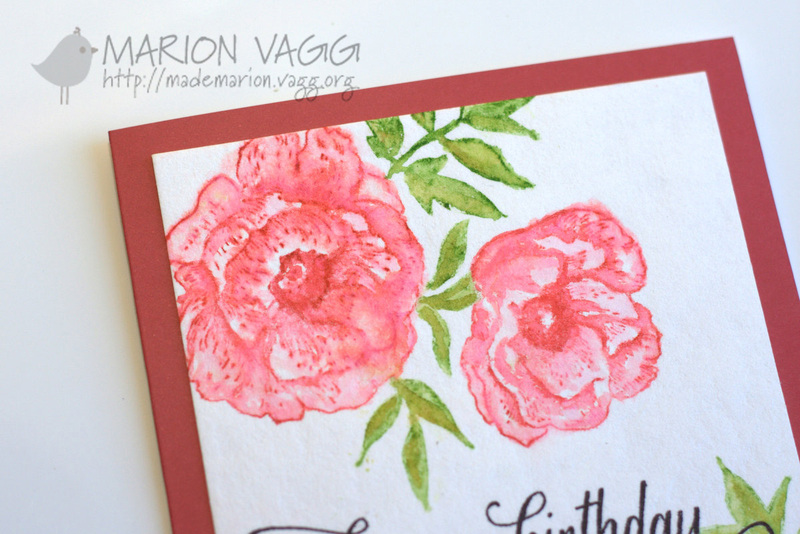 I’m back with another card for the Online card class – Watercolor for Cardmakers. I have been totally inspired and simply blown away by both of Dawn Woleslagle’s watercolouring techniques shown on Day 7 and 8 of class. I hadn’t thought to do this technique, but since watching, I can’t stop. I’m addicted! 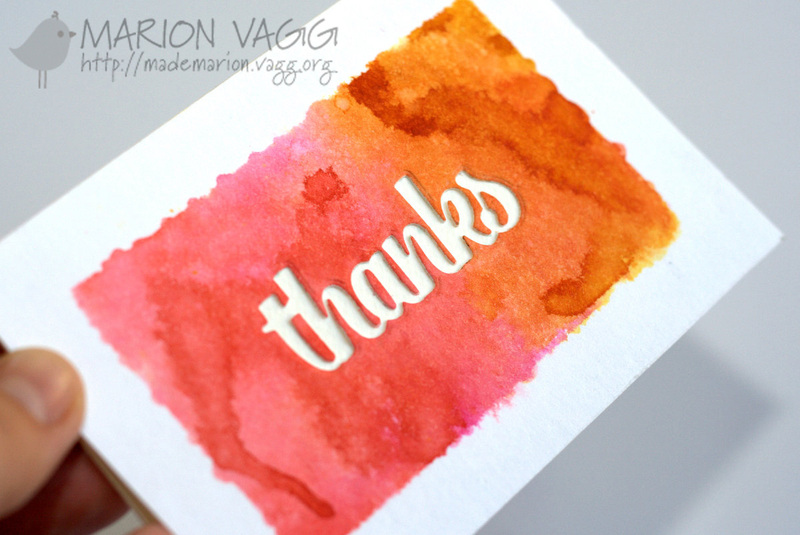 I stamped the images in Distress ink and then I painted over the top with water. I had fun and I felt like a real painter! 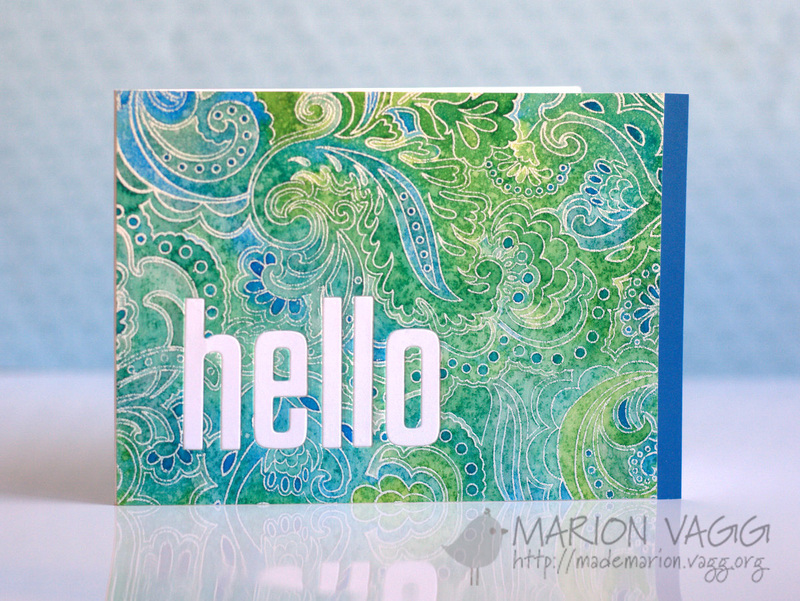 Both of these cards use the technique of inking an acrylic block, spritzing with water and then stamping, as shown by Laura Bassen on Day 1. I love the unpredictablitiy of this technique. The ‘thanks’ is die cut and is recessed into the panel, whereas the ‘hello’ is die cut and 3 layers are placed on top of the focal panel. Hello…remember me? I know its been a long time. There have been several reasons for my absence, but mostly I just needed a break from card making. Ever been there? 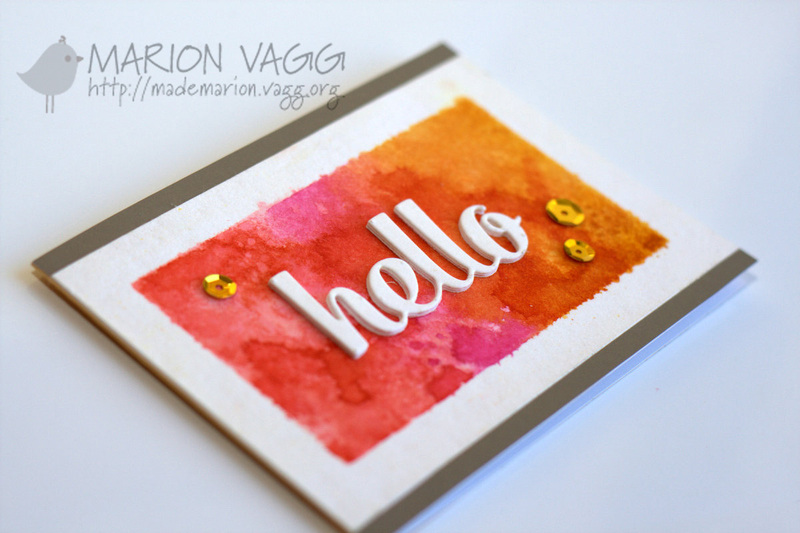 Anyway, I am currently taking the Online card class – Watercolor for Cardmakers and I made a card! 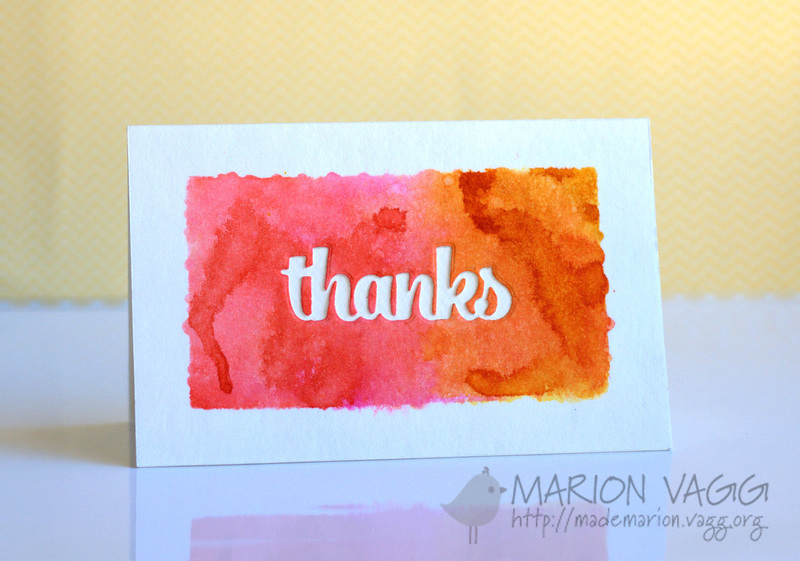 For this card I created a watercoloured background using distress markers. 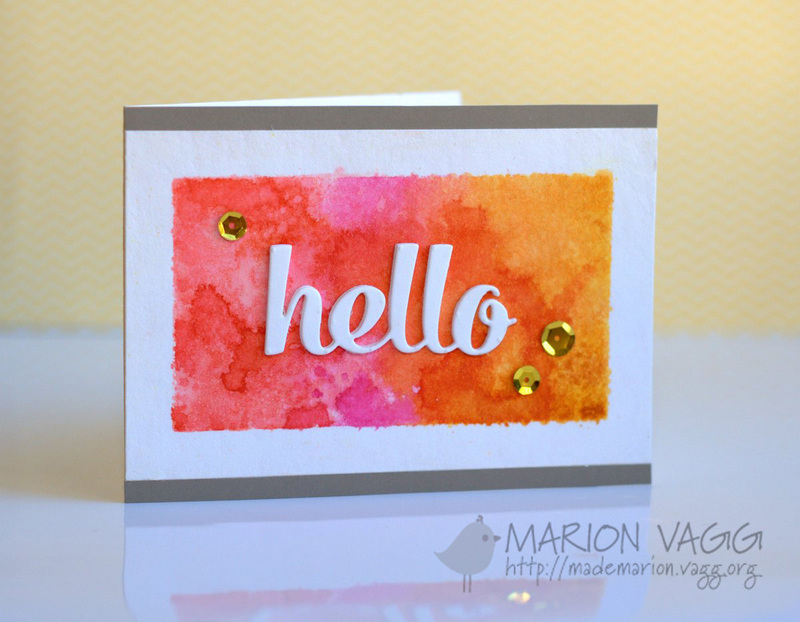 Firstly I heat embossed the background stamp in white embossing powder and then roughly coloured the image in with Distress Markers. I then spritzed the panel with water and watched the colours blend. Once dry I cut out the letters and inlaid them back in to create a flush image. Other Supplies: My Favorite Things High Rise lowercase alphabet letter dies, Cuttlebug, AnnaBelle Stamps white embossing powder, Heat tool, Anti-Static pillow, Water spray bottle. I hope to be back really soon.